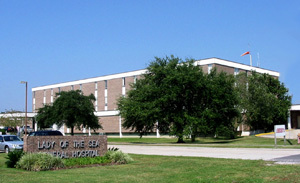 Thank you for considering Lady of the Sea for your healthcare needs. As a courtesy for our patients, our billing department will work with you by filing insurance claims on your behalf with your insurance company and working with patients and / or their responsible parties to get claims paid. Once your insurance(s) have paid their portion of the bill, you will be responsible for paying the remaining balance. For any questions concerning financial responsibilities with hospital care or to make financial arrangements for a balance due, please call (985) 632-6401. If you require financial assistance with your Lady of the Sea bill, we may have programs to help you. Please contact our Financial Assistance office at (985) 632-8312 for more information. Health care pricing is complex and can be very confusing. From health insurance to hospital charges and physician fees, there are many factors that impact what patients pay for services and procedures. In complying with the Centers for Medicare and Medicaid Services requirements, we have made our hospital charges available here. While we support the intent of these regulations to educate patients on the cost of the health care and patient financial responsibilities, the hospital charge information may not be a relevant starting point for estimating patient health care costs. Patient insurance coverage, policy provisions, and other factors affect actual patient financial responsibility. To begin the process of determining an estimated cost of services ordered by your physician, please call us at (985) 325-9377. The attached consumer guide is provided to help patients better understand their health coverage and what questions to ask their insurer and providers to get the information they need to make health care decisions. Click here for the guide. The guide is also available in Spanish here.